Samsung has officially introduced its new ultra-slim 16-megapixel megazoom digital camera, named as Samsung WB700 (the successor to Samsung WB600 and WB650), which offers a stunning 24X zoom function – combination of 18x optical zoom and 1.3x smart zoom. Samsung WB700 is equipped with an array of advanced features and technologies, including 16MP high resolution, 24mm ultra-wide angle lens, 3-inch LCD screen, full manual controls, RAW image capture, full HD video recording, Smart Filter 2.0 and new innovative zoom noise reduction capability. 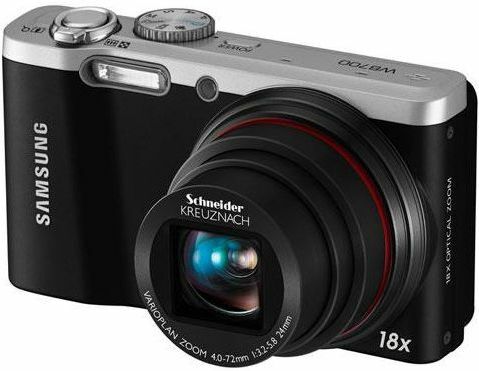 The new compact, ultra-slim Samsung WB700 mega-zoom digital camera which measures 99.5 x 59 x 21.7 mm is expected to be available by April 2011 for a MSRP of $299.99.